The J.M. 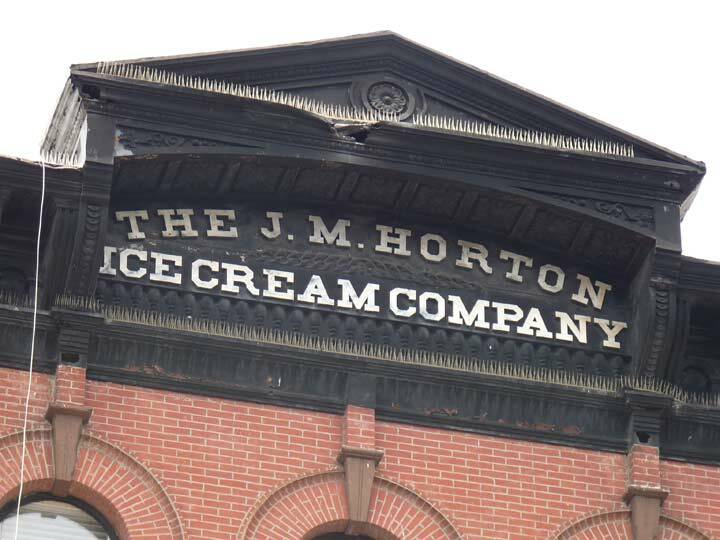 Horton Ice Cream Company used to be a big deal. If you look at postcards showing NYC neighborhood scenes in the early 20th Century, a Horton’s ice cream ad can be seen in just about every grocery window—Horton’s was the Sealtest, Breyer’s, Carvel etc. of its day. James Madison Horton (1835-1914), president of the Orange County, NY Milk Association, founded the business in 1870 and by 1916, after his death, company ads proclaimed it the largest ice cream company in the world and was supplying half of NYC’s ice cream retail sales. Horton’s continued to be hand-made during this time and one of its factory buildings was here, at 302 Columbus Ave. off of W. 74th. Subsequently it lost out to mechanized competition, and by 1930 it was absorbed by Borden’s. The sign appears on the building pediment, which makes it hard to see if you’re not looking for it. Why place it so high? The answer is simple. 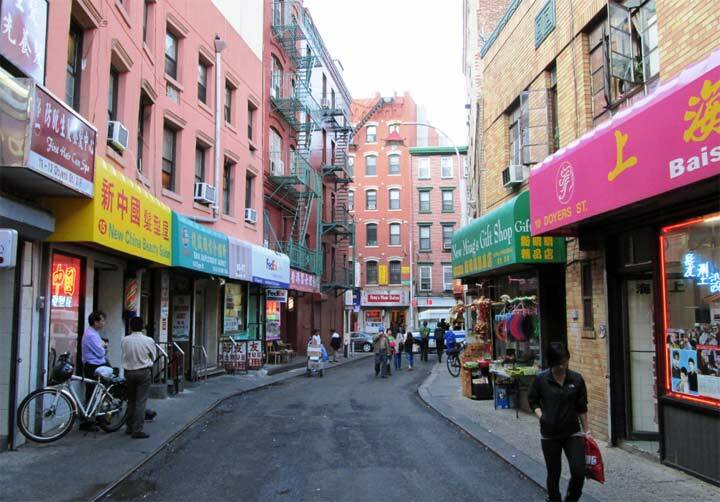 Until 1940 the 9th Ave. El rumbled above Columbus Ave., and the sign could be easily seen by passing commuters. There were 4 brands of hand dipped ice cream that were sold in the 100’s of “candy stores” in NYC when I was a kid…Bordens, Horton’s,Reids and Breyers…..Even though Hortons and Reids were absorbed into Bordens years before, they were still sold as different brands for a long time…We had two stores nearest to us that sold Bordens and Reid’s…The Reid’s store owner told me the whole story as far as he knew it……I used to split my business between the both stores…..Many drug stores with soda fountains, used to carry Breyer’s…..